As mentioned previously, Governments gobally have pinned their economic hopes on a somewhat Keynesian approach to financial recover, that being essentially more government intervention in the economy, and spend your way out of recession. Both the Australian and New Zealand Governments has signalled that they would be spending large sums on Infrastructure projects among other things. In Australia some of the money targeted for infrastructure spending has specifically allocated ($2m per state) for stadium upgrades. Clearly the Australian government has seen the value in the stadium in the modern built environment, and in the case of Australia, the stadium is part of the identity building process. So while the opponents of the stadium have suddenly developed rather strange bedfellows (yes that famous climate change denier and libertarian Rodney Hide), and gone running to the ‘hall monitor’ of Parliament, others have made considered approaches to the somewhat less dogmatic ideologue Bill English. It would be fantastic if the government could see that stadiums have such an important role to play in how Kiwis define themselves, and fund us accordingly. Having set a goal of supporting development and infrastructure projects during the election campaign, the Government is “expecting the call” from Dunedin stadium bosses looking for funding, deputy prime minister Bill English says. Mr English said in Queenstown yesterday no money had been set aside for the stadium project, but indicated it might sit within the criteria for “top priority projects” the Government was looking to fund. While it has been announced the Government will be shelving plans for some larger projects, he said infrastructure-type funding would be available. Carisbrook Stadium Trust chairman Malcolm Farry is feeling buoyant after a $1.9 million surge in private sector funding for Otago Stadium in the past week. Contracts for lounge memberships and other deals signed and returned in the past few days have boosted the trust’s private funding total for the stadium project to $8.7 million, up from $6.8 million last Friday. Mr Farry said the result followed a series of successful sales meetings in Dunedin during the past few days. One gathering of friends had snapped up 22 lounge memberships – for $1500 plus GST a year each – following a meeting with trust staff on Tuesday, and 26 more were purchased in a similar fashion on Wednesday, he said. Another $13.5 million was expected to be confirmed, through $4 million in “pending” membership products and corporate suites and $9.5 million in sponsorships in “advanced discussions”, he said. Once signed, the contracts would raise the private sector tally to $22.2 million, just $6 million short of the $28 million target the trust needed to reach by February. the ignorant or illinformed hearts and minds of the masses, it seems. Take for instance the latest uninformed letter to the editor in the ODT this Saturday (20 Dec 2008) by Brian Smith, “Nine Reasons for Dunedin to say ‘No'”. Mr Smith may as well be called Joe Blogs, for Mr Smith represents the woefully uninformed (or worse ignorant) masses who have been fed lies and disinformation for too long now for what he states in his letter he honestly believes to be the truth. Like G W Bush telling us over and over about WMDs in Iraq (which of course wasn’t true and known to be so by British Intelligence before the fact), the StS and it’s cohorts have managed to manipulate the media and the public into believing any rubbish, even if it’s not true. 1. The burden on the Dunedin City Council and the Otago Regional Council ratepayers will cripple this city. I’ve always stated that this is possibly the only argument that I could not argue against without deep investigation and economic modelling. However he is of course wrong, it will not cripple the city. It may put a strain on budgets etc, but just as those who claim not going ahead will be the death nail of the city, this is pure conjecture. 2. The world recession with job losses and people not spending, is the worst since the great depression. Apart from being wrong, this argument is very weak. Global economic cycles involve recession and growth. This may be the deepest recession since the depression, for the US and Europe, however for NZ, this recession isn’t as deep as the Asian downturn recently. Unemployment is expected to peak at 7%, that is considerably less then the peak of 1992 at 10.4%. We managed our way out of that economic cycle, and considering treasury and the reserve bank both predict growth of 4.1% by 2011, this is a relatively shallow recession for NZ. Also, people are spending. The rural areas have actually experienced year on year growth in consumer spending, this is something not many analysis’s predicted, but disproves the argument above. 3. Location – such a large building on a reclaimed lake next to the mouth of a waterway next to rising sea levels. Wrong, flat out wrong. I’ve only lived in Dunedin for the past 11 years, however I can’t remember the last time the Water of Leith flooded the Fonterra cool stores and other business currently located on the site. Has Mr Smith forgotten about the Water of Leith flood protection scheme? It seems that the geotechnical experts know less about the structure of the ground than Mr Smith. It is true that unlike Manhattan (which is built on pure granite) this is reclaimed land, but then if the engineers know how to build a 235m, 50 storey, 1.2m sq ft skyscraper on reclaimed land on Canary Wharf in London, a relatively light weight and small footprint stadium won’t be too much of a problem for them. The risk of rising sea levels from global warming has been debunked in previous posts- end of story. 4. It is too small – the minimum is 35,000 for a category A rugby tests. Correct it is too small for category A tests. But considering category A rugby tests are The Lions Tours, Rugby World Cup finals and Bledislow cup matches, this should not be of concern. England, South Africa and Australia test matches including Tri-Nations will all be held here in the new stadium. 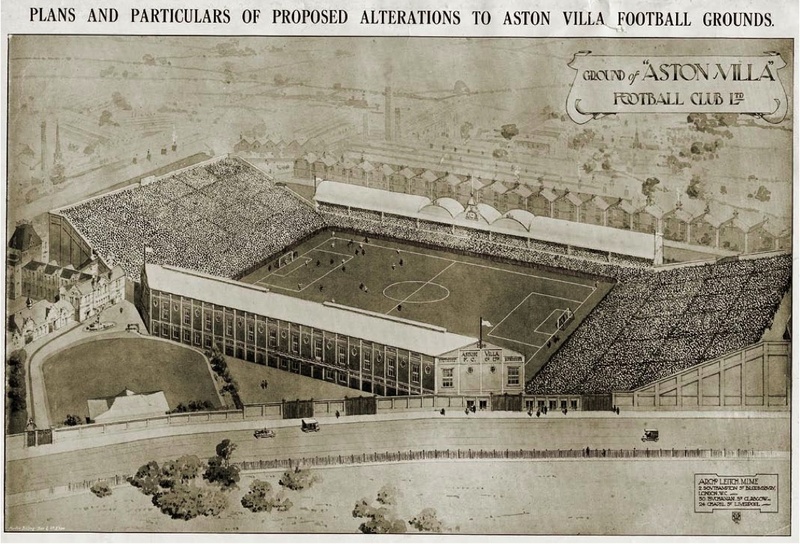 The cost associated with another 5,000 would have meant even I would have opposed the stadium. Considering it is also better to be in a 3/4-full smaller stadium than rattling around a bigger stadium atmosphere wise etc the capacity they have settled on is about right. The very suggestion is that big rugby matches won’t be held here, simply is scare mongering. 5. Roof – I am not convinced the grass will grow. Again I am pleased that the expertise of Mr Smith is greater than that of the experts who have created the material and the clinical studies carried out by experts in turf management on site. Despite all of the evidence showing that the grass will grow (you know scientific stuff), Mr Smith doesn’t think so, that’s good enough for him. Bloody hell! 6. No Cricket – the University Oval is nice but too small for one-day internationals. Not sure what Mr Smith means by this. Is the ground physically too small, or the capacity? Considering the University Oval will probably have it’s dimensions increased considerably when the old Art Gallery is finally demolished, the ground is similar in size to many ODI grounds. It’s a purpose built ground unlike Eden Park with a rectangular shape or Lancaster Park again with a Rugby shape. Capacity wise it is far inferior to the likes of the Cake Tin, but then ODIs are held in Queenstown. However this discussion isn’t about the Oval, and the cost consideration to put a roofed stadium that could accommodate Cricket is just one that isn’t even worth mentioning. Not unless that is the good people of Dunedin would stump out close to half a billion dollars – but then Mr Smith doesn’t think the grass will grow anyway. 7. Safety – in a natural disaster (i.e. earthquake) evacuating 29,000 people from a ground close to an Lpg installation and surrounded by large petrol storage tanks. Oh, hell where do you start with this one. Earthquakes. Seems the expert seismic analysis of Mr Smith is somewhat woeful (yet again), in that Dunedin has a less than 1% chance of a earthquake with “Widespread building and bridge failure, ground cracking and landslips.” This is from the council’s own earthquake assessments. The 1-10% chance of “roof tiles falling, chimneys break, furniture moves” would hardly induce structural damage to the mentioned ‘hazards’. Seriously it makes you weep that this rubbish is printed let alone discussed in the pubs and workplaces. there is a greater chance the Easter Bunny running amok than this happening. Why didn’t he just say, “potential for the sky to fall” or meteorite or black hole – they’re out there man! If I wasn’t weeping before, I’m just bloody depressed now. This tripe is published in the paper – people believe this stuff. Now I know how G W Bush managed to invade Iraq, the people really are that bloody stupid. 9 Carisbrook – this year, we celebrated 100 years of Rugby at Carisbrook. It is right up there with the most famous rugby grounds around the world. The Historic Places Trust recognised this and said the ground had a significant part in the history of Dunedin and Otago. International cricket has also been played there over the years. I believe it belongs to the people of Otago and the DCC should take ownership and redevelop Carisbrook with a minimum 35,000 seats. if we walk away from 100 years of history and tradition we have nothing. Despite what the good people of Dunedin think about Carisbrook, it is not ‘up there’ internationally. I know, I am a sports nut, and in the UK, Wales, Ireland and Scotland, unless you are a pure rugby fan, you have no idea about Carisbrook. Having also lived in Vancouver and other sub rugby nations, I know for a fact that Carisbrook isn’t known at all, funny they don’t even know where Dunedin is. It’s a historical ‘folk hero’ ground in NZ. But then Anfield in Liverpool and Highbury in London also have considerable history. Anfield built in 1884 was the original home of Everton FC, but jointly used by Liverpool and Everton until Everton left to build their own iconic stadium Goodison Park just across Stanley Park. Despite the Kop (possibly the most famous stand in the world) and the echo’s of “you’ll never walk alone” and 124 years of histroy, Liverpool FC are currently developing plans to build a new stadium in Stanley Park. Highbury, the iconic and more correctly named Arsenal Stadium, designed by the famous Archibald Leitch in 1913 and home to Arsenal FC until recently is considerably more famous than Carisbrook internationally. This too didn’t preclude redevelopment, into that of luxury apartments when Arsenal FC decided to move in the luxurious Emirates Stadium down the road. This despite a $22m pound redevelopment in the 1990s. But then of course possibly up there with Yankee Stadium is Wembley as the most famous sports grounds internationally. The previous Wembley stadium, built in 1922-1923, apart from holding the Football World Cup in 1966 and 1948 Summer Olympics, not to mention countless other massive sporting occasions (like the home of the FA Cup for decades), also hosted iconic cultural events like Live Aid in 1985. But like all good things, this came to an end, and the good people of London are gifted possibly the most wonderful stadium in the world with the New Wembley Stadium. Finally Yankee Stadium RIP, long live the new Yankee Stadium, I have posted on this previously – how cool is Yogi Bera. These and dozens upon dozens of other cities have all chosen to build on the past rather than preserve sentimentality. These new stadiums don’t denigrate the past, they add to the past and set foundations for the future. To build a 35,000 seater stadium on the site of the present Carisbrook with a roof would have been financial idiocy, without a roof, just madness. The history of Carisbrook can live on, and the traditions of the future set in the new stadium. Historic sentimentality (without an endless source of money) is a folly in the reality of modern sports and entertainment businesses. Along with others over the last week wrongfully stating that the Caledonian is an international quality stadium, the latest rehash of the old and discredited really needs to be exposed for the twaddle it is. If you believe that the city can’t afford the stadium fine, but unless you are a materials expert, turf management technician, civil engineering and seismic modelling expert, international security expert, geology, geomorphology and climate change expert, and can state for a fact the above arguments, please kindly preserve your dignity and respect the intelligence of others and shut up – in no uncertain terms. Mr Smith or Joe Blogs has proven my point regretably. The inaccurate and discredited arguments put forward as valid argument against the stadium have been picked up by the public and they are now running with it. Just as GW Bush was able to hoodwink millions of Americans, the StS and it’s merry band of disharmonious followers have managed to do this city a massive disservice – bugger it, they’ve conned them. To tell the truth, you people don’t actually deserve this stadium. Not a name that springs to the minds of many Kiwi’s I’d imagine, but to any football nut, this guy is a legend. Finally got my copy from University Bookshop today, and am a very happy football-architecture-stadium fan. Put this on your shopping list for xmas, it’s a fantastic read and a great history of a stunning stadium architect. For a brief history of the man and a list of the parks that he has designed that has literally entertained and housed millions of sports (and concert) fans go to his Wiki entry here. The publisher’s page, Played in Britian, has a nice summary of the book too, found here. In the second book of the Played in Britain series, stadium expert Simon Inglis recalls the life and work of Archibald Leitch (1865-1939), the Scottish engineer whose designs were to football what Frank Matcham was to theatre. Millions of spectators sat or stood in Leitch’s structures, built for such famous clubs as Arsenal, Manchester United, Everton, Liverpool, Tottenham, Chelsea, Aston Villa, Hearts and Glasgow Rangers. No other stadium architect can claim such an illustrious list of clients. And from the Author’s sub site on the Played in Britian website. For author Simon Inglis, Archibald Leitch was one of the most intriguing figures in British football history. He was also the man who inspired Inglis’s career as a historian of the game. On Nine to Noon this morning (National Radio) Kathryn Ryan had both Malcolm Farry and Jeff Dickie on the show, discussing the possibility for the stadium go ahead. Apart from the usual hot air from the Anti Stadium folk, “I’ve lived here all my life, I love Dunedin” etc etc, there was so much about his rant that is just typical of this whole debate. Well sorry Mr Dickie, my family too has been here for well over 100 years, there’s a street named after my family and their farm in Kaikorai Valley, and I too am proud to be a Dunedinite – what’s your point? I’ll be looking in more depth (for the mean time) the wider economic climate, and how this may be affecting ratepayers. As reported in the Otago Daily Times Friday 5th Dec, tentative support for the stadium has come from a very unlikely quarter, that of the new National MP Michael Woodhouse.